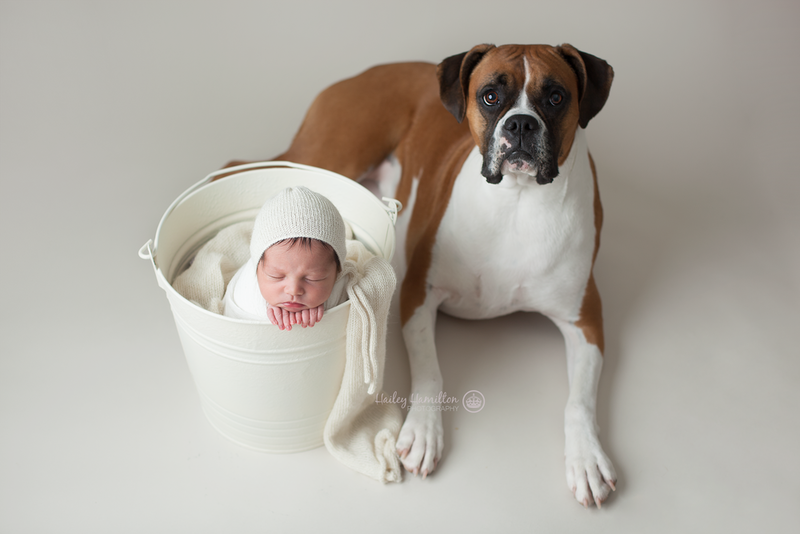 Adorable little cutie Faith brought her big (dog) brother to the studio for her newborn session. I'm not super comfortable around big dogs so I was a little worried at first when I saw how big he was. He was amazing. I absolutely loved how well this session turned out. Now I kinda wish a pet would come for every session. And how cute are the little hand-made moccasins her Grandma made??? Did you see her little smile when she's in her Dad's arms?